Children can struggle to cope with the ups and downs of everyday life for a variety of reasons, including personality traits, mental illness, family difficulties, significant life events that are inherently challenging (such as the death of a loved family member) or a lack of appropriate role models in their life to demonstrate how to use coping strategies as a life tool. In a variety of roles, adults can help children learn to cope well with life's challenges. Whether you are a teacher, a special educator, an art teacher or art therapist, or working as a counselor or support person, you have a role in modelling appropriate coping strategies and helping children learn ways to cope that are positive, productive and achievable for them. This can be as simple as articulating your own coping strategy when you are dealing with a problem, or being obvious about your approach when experiencing a change in emotional state. Make a support necklace or bracelet that is used to remind a child about the people or tools they already have to provide them with support in difficult moments. Create a wishing wand or a wish fairy to prompt discussion about making wishes and optimism for the future. Sew a memory creation such as a pillow, quilt or stuffed animal that can be made from material with special significance (such as clothing from someone who has passed away), which can offer comfort and closeness for a child who is grieving. Make a dream catcher to catch scary dreams so they can't reach the child who is sleeping safely beneath it. Build a protection shield to scare away a 'worry dragon' that is used to represent a child's worries and anxieties. 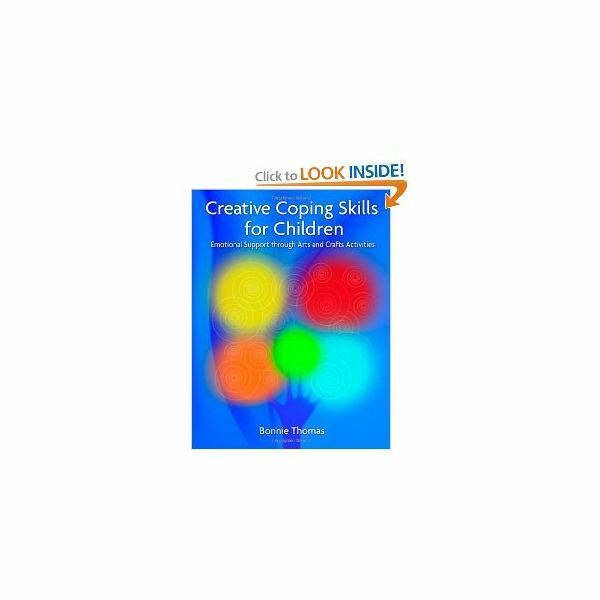 Obviously, some of the coping skills activities are meant to be used in very specific ways and as part of a wider support program for individual children. If your role as a special educator, art therapist or specialist teacher involves this sort of support, then you will find this book very useful. If your role is a more general teaching one, you will also gain a great deal from the easy to use activities, but you will need to be mindful of how you use them within your teaching program. Remember that some types of support (such as counselling for a child who experiences high anxiety) should be part of a multi-disciplinary approach led by a psychologist or counselor.